Bryan Leal helped his team muscle past the Oakland Athletics, 11-4. In the game, the Seattle left fielder went 4 for 5 with a home run, a double, and 2 singles, while scoring 3 runs and driving in 3. Perci Garner, the winner, improved to 1-0. He held the Athletics to 2 earned runs on 5 hits over 6 innings, while striking out 1 and walking 4. With the win, the Mariners improved to 22-27. The Mariners got a big at-bat from catcher Mike Zunino. 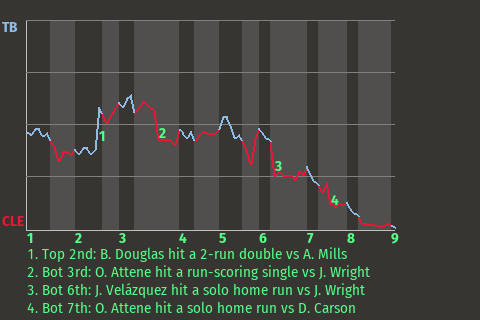 For the game, Zunino went 1-4 with a double and a walk. He drove in 2 runs and scored once. In the top of the second, with runners on 1st and 2nd, he stroked a 2-run double. His 10th double of the season gave Seattle a 2-0 lead. "If the personal accolades come, so be it," said Zunino. "I just want to win ballgames."